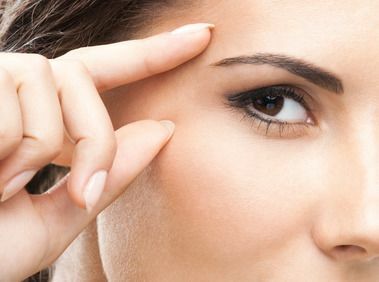 Many people experience a reduction in the symmetry or fullness of their eyebrows due to injuries, medical disorders, over-plucking, or the natural aging process. Full, uniform eyebrows enhance the structure and definition of the face, while thin brows can age a person significantly. If you are unhappy with your eyebrows, you may spend time each morning applying makeup to fill them in, or you may resort to tattoos, which can offer unnatural looking results. Fortunately, Drs. 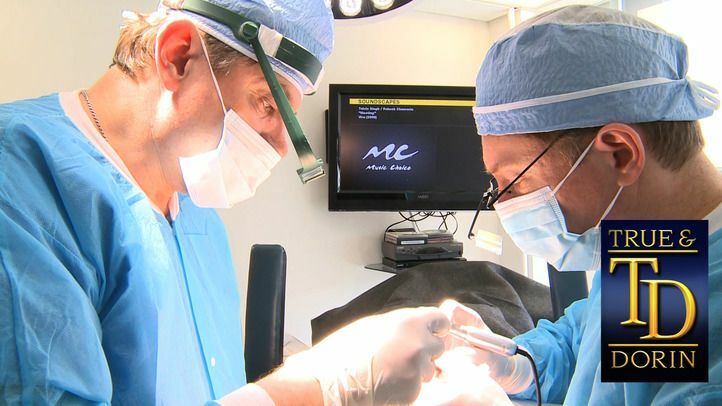 Robert True and Robert Dorin can offer you an eyebrow restoration at their New York that uses patients' own hair for a permanent and natural appearance. To find out if this innovative procedure is right for you, schedule an appointment with our practice today. Dr. Dorin talks about the philosophy of treatment at True & Dorin and achieving a natural look. Our eyebrow restoration patients can enjoy all the benefits that state-of-the-art hair transplantation methods offer. Unlike past eyebrow restoration techniques that were very time consuming and produced inconsistent results, our methods provide relatively fast and reliably high-quality outcomes. Using a follicular unit transplant (FUT) or follicular unit extraction (FUE), donor hair is carefully extracted and then grafted to the treatment site. During FUT, a small strip of tissue containing healthy hair follicles is removed from a donor site, typically on the back the head. On the other hand, with a FUE procedure, follicular units are extracted one-by-one in preparation for transplantation. Each method has its own advantages, and our doctors can help to determine which technique is right for you during an evaluation. After the follicular units are harvested, they are precisely transplanted in a way that mimics the texture and direction of existing eyebrow hairs. Similar to any hair restoration procedure, the newly transplanted hair will typically fall out after roughly two weeks, but will grow back over the coming three to six months. Once the full results of your restoration become apparent, you can benefit from beautifully full brows that frame your eyes and add depth and dimension to the contours of your face. We have successfully treated a wide variety of patients, and nearly anyone who suffers from lateral thinning or bald spots in their eyebrows can benefit from eyebrow restoration. Medical conditions and the natural aging process can play a role in brow thinning, and generally patients experiencing this type of loss can expect to be very satisfied with their treatment. Some of our most outstanding results involve patients who have experienced eyebrow loss due to thyroid complications, or who have excessively plucked and waxed for years. During your consultation, you and your doctor will discuss the procedure, and its benefits. It is important that patients have realistic expectations about outcomes, and that they keep in mind that this procedure is intended for patients who are experiencing balding. Eyebrow restoration is not recommended for people who simply desire thicker brows, or a quick cosmetic fix to enhance their features. To learn more about how eyebrow restoration can rejuvenate your appearance, schedule a consultation at one of our conveniently located offices.